Chateau / Country House32291 sq. ft.
FOR ALL RESERVATIONS, WE REQUEST A DEPOSIT OF 30% OF THE TOTAL VALUE OF THE LOCATION, AND THE REMAINING BALANCE SHOULD BE PAID IN ATE 2 BUSINESS DAYS BEFORE THE BEGINNING OF THE STAY, WHICH MAY BE DONE THROUGH BANK DEPOSIT, OR CHECK PRE DATED. CLEANING FEE MANDATORY OF 150.00 THE REQUIRED RENTAL AGREEMENT, AS WELL AS THE MAP OF LOCATION OF THIS PROPERTY, MORE SOME PHOTOS OF IMOVEL, ETC, CAN BE SEEN, THROUGH MY SITE www. vacation. with. br THIS SITE AND PERSONAL, AND CONTAIN OTHER PROPERTY OF MY PROPERTY, IN OTHER LOCATIONS, FOR APPRECIATION. ANY DOUBT, CAN CONTACT THROUGH EMAIL, sandramenghini @ gmail. WITH, OR ONLY BY PHONE 11 78536940. 2 km from the center of Igaratá. Access the dam for those who like to fish. 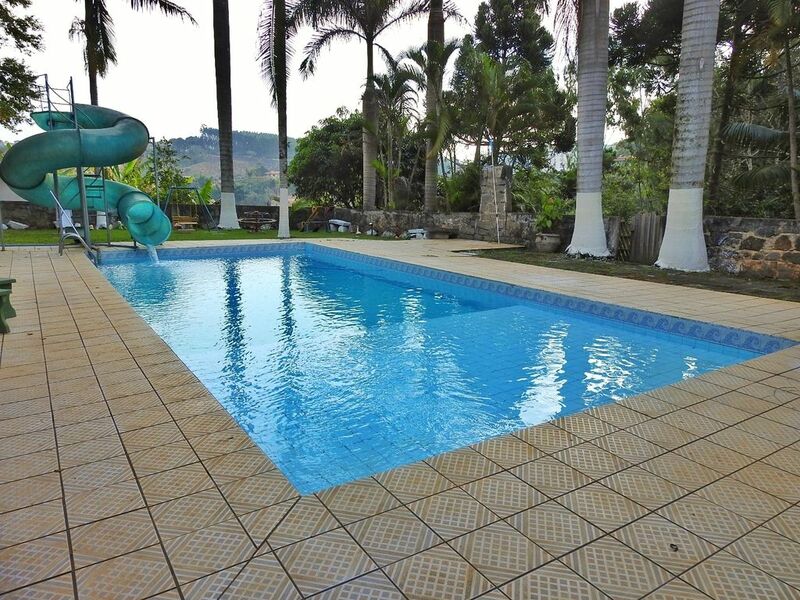 TOBOAGUA NA PISCINA. TAXA LIMPEZA 120,00 OBRIGATÓRIA . PARA TODAS AS RESERVAS , PEDIMOS UM DEPOSITO MINIMO DE 30 % DO VALOR TOTAL DA LOCACAO, E O SALDO RESTANTE , DEVERA SER PAGO EM ATE 2 DIAS UTEIS ANTES DO INICIO DA ESTADA , PODENDO SER FEITO ATRAVES DE DEPOSITO BANCARIO, OU CHEQUE PRE DATADO . O CONTRATO DE LOCACAO OBRIGATORIO .